The DFX is our latest fixed back performance seat. 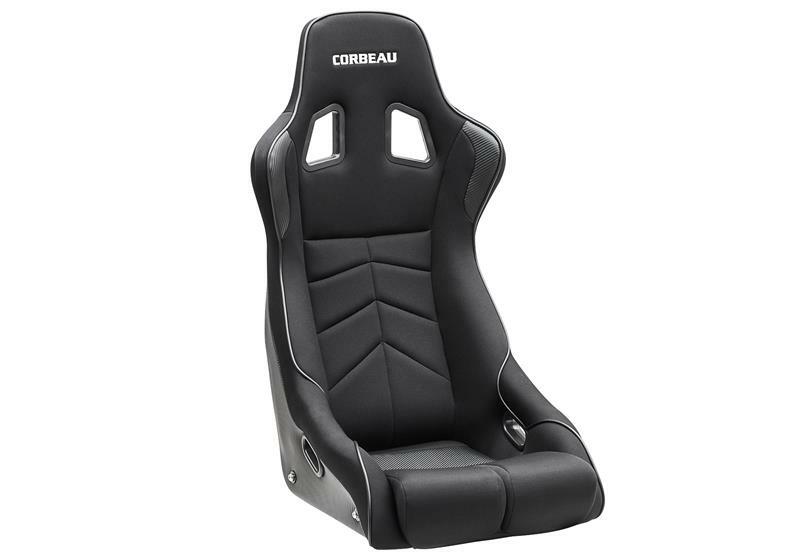 This seat was first offered to the European market and is now available here in the states. Designed with an emphasis on comfort and support, this seat is one of the more comfortable fixed back seats on the market today. What also makes this seat unique is that it can be side or bottom mounted, making it practical for all drivers in the market for a fixed back seat. Other standard features include a tubular steel frame, medium density foam, strategically placed high wear patches and carbon fiber vinyl accents. The DFX comes with harness slots making it 3 and 4 point harness capable. The DFX is available in black cloth with a carbon fiber vinyl accent and either black or white accent piping. As a rule of thumb the DFX will fit up to a 36-38 inch waist.